A four bedroom barn conversion in the beautiful Tamar Valley on the border of Cornwall and Devon, in an Area of Outstanding Natural Beauty. 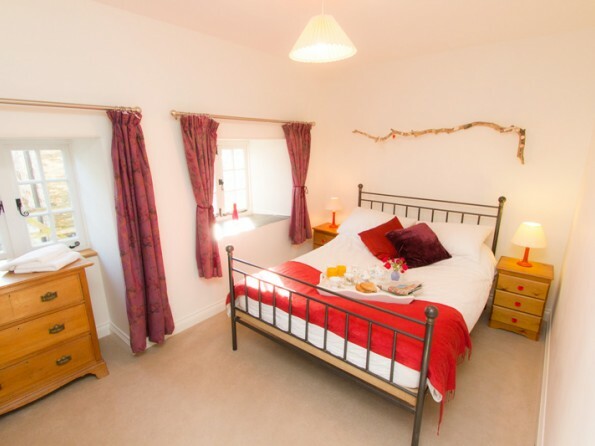 The barn is on the outskirts of the village of Landulph and has private woodland, an orchard, tennis court, hot tub and a private shingle beach which runs the full length of the Marsh. A heavenly holiday spot! 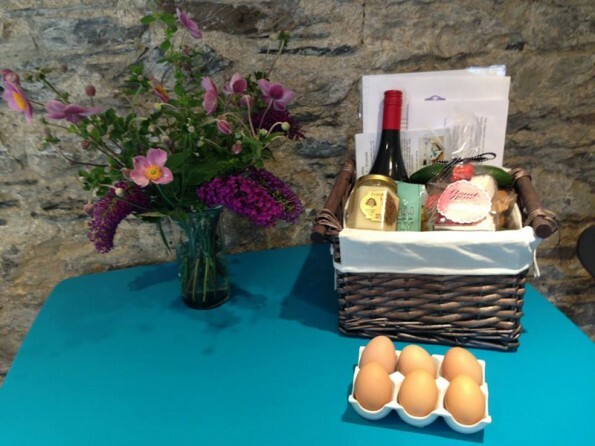 Kingfisher Barn is on a former Duchy of Cornwall renowned daffodil farm on the outskirts of the pretty village of Landulph. In the 15th century, the farm was where pilgrims gathered before setting sail for Compostela in Spain so its history dates back a long way! It has its own Salt Marsh Nature Reserve which borders Lake Kingsmill on the River Tamar. The nature reserve is rare salt marsh habitat with a wide array of flora and fauna. Here at the farm you’ll have over 40 acres to explore, and you are within easy reach of beaches, gardens and activities for all the family. 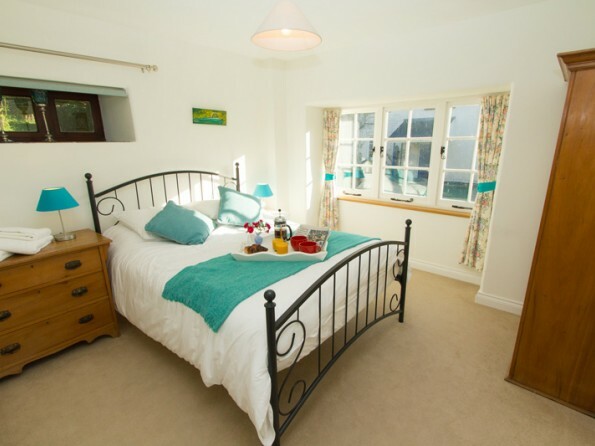 Winner of Silver in the Cornwall Tourism Awards Self Catering Property of the Year ’17/‘18 category and awarded Highly Commended in their Wildlife Friendly Tourism Business Award category, you will be staying in one of the best locations in Cornwall. You will not be short of things to do during your stay here, either on or off the farm! There are lots of fantastic beaches to explore - the south coast beaches are nearer and include Seaton & Downderry (great facilities), Portwrinkle (great for rockpooling) and Whitsand Bay (3 miles of sandy beach), all of which are a 30 minute drive. There are lots of walks you can do from your doorstep, along the beach, to the pub and across the fields. Family friendly places to visit include Becky Falls, Tintagel, The Eden Project and the National Marine Aquarium. There are a couple of National Trust properties within a few miles of the farm - Lydford Gorge and its waterfall is not to be missed! Local activities on offer include fishing, sailing, kayaking, coasteering, golf, and clay pigeon shooting. 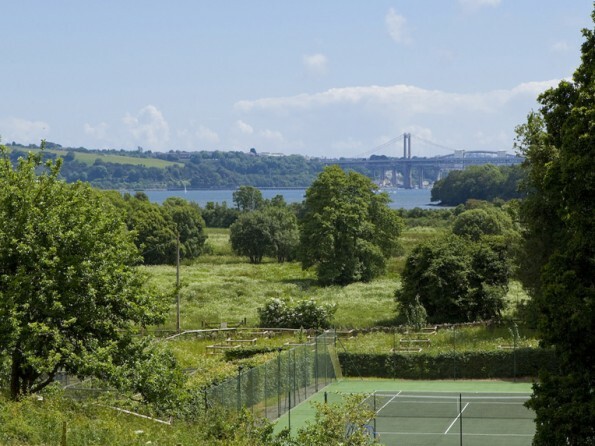 Nearby pubs include The Weary Friar, a lovely traditional inn with traditional pub food, and the Who’d Have Thought It Inn has breathtaking views over the Tamar from their conservatory. The renowned Rod and Line Pub has the pub atmosphere of old with good food and an excellent reputation as a music venue. 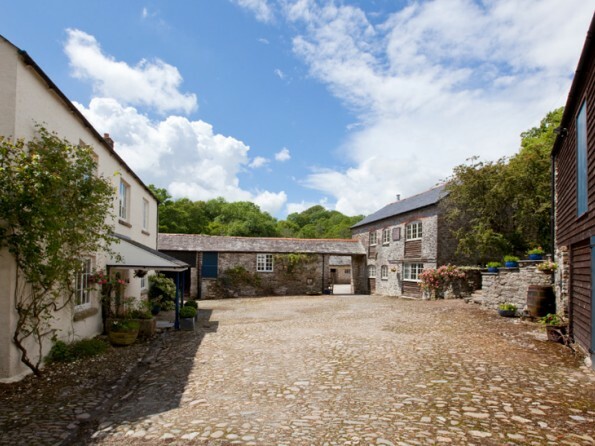 Lower Marsh Farm is situated on the outskirts of the small village of Landulph, right on the shores of the River Tamar that runs down the border of Devon and Cornwall. It’s easy to reach with excellent road and rail connections. Detailed driving directions provided on booking. Fast trains from London Paddington to Plymouth take less than 3 hours and then you can take a taxi from Plymouth, or take a slower train which stops at Saltash (which is closer to the barn). 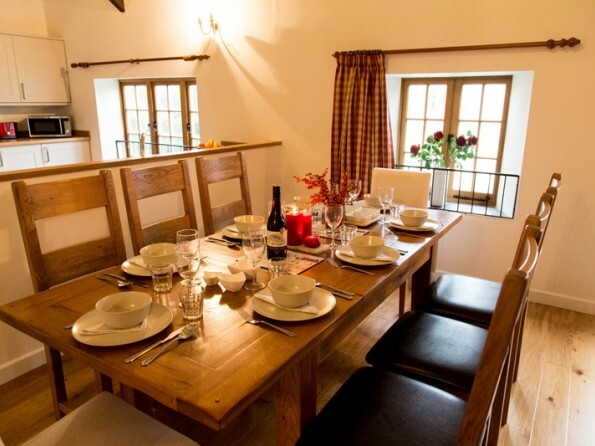 The barn sleeps up to eight people in four bedrooms - two doubles and two twins. The bedrooms, a bathroom and a second WC are on the ground floor. 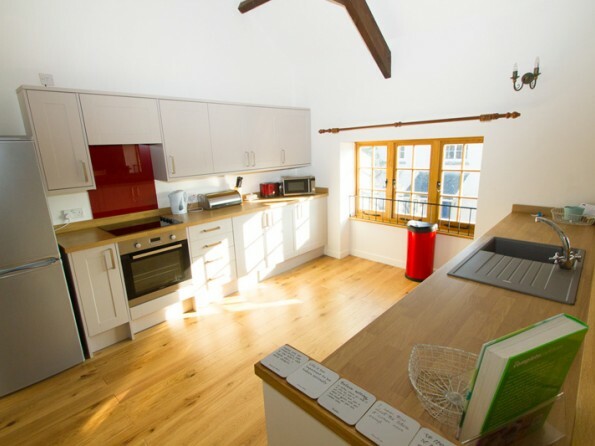 The first floor has a large open plan beamed kitchen / living room with oak flooring, and a dining area. The fitted kitchen is well equipped and includes dishwasher and washing machine. The living area has a log burner. 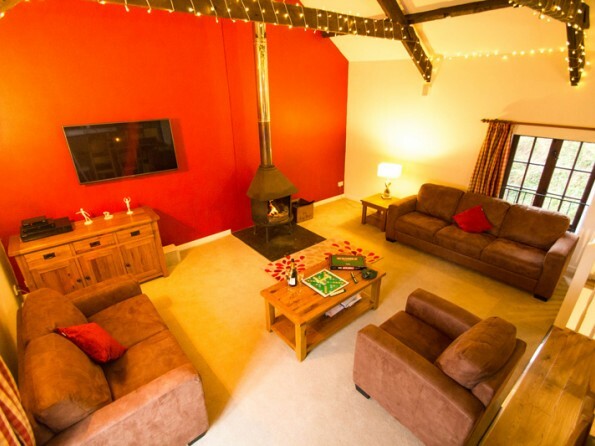 The barn comes complete with a 49″ wall mounted satellite television, Blu-Ray/DVD player and 5.1 surround sound and you can even connect your iPod / iPhone wirelessly to the sound system. There are books and DVDs, and wifi throughout. Luxury Egyptian Cotton bed linen, white fluffy cotton towels, complimentary toiletries and heating (via efficient storage heaters) included. 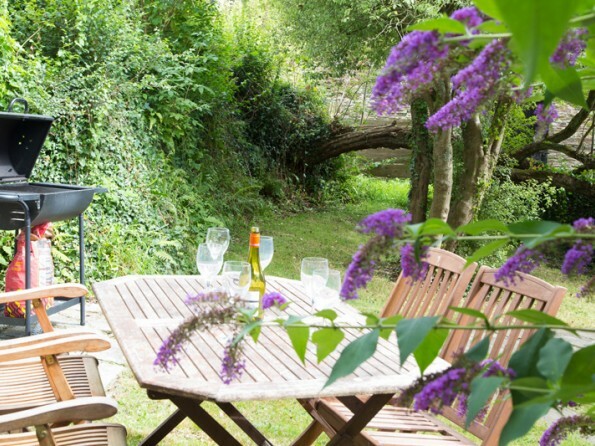 Outside there’s a private garden area with your own hot tub, a table and chairs for al-fresco dining, a tree perfect for the children to climb on and a small herb garden. 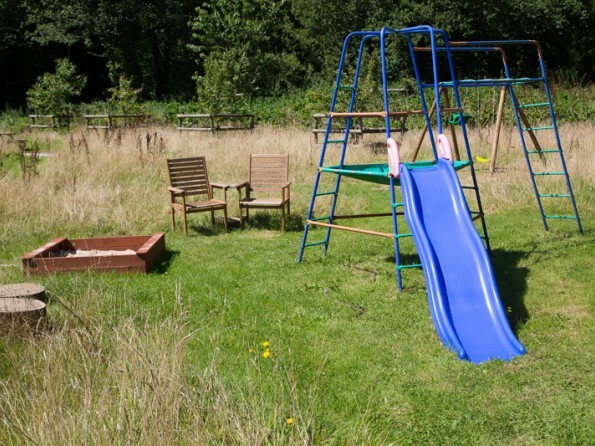 Within the ground you can head up into the private woods for walking and den building, or go into the orchard to lounge in a hammock, picnic with the family, or practise your basketball shooting skills! Also on site is a private floodlit tennis court - some racquets and balls available. The farm has its own private shingle beach which runs the full length or the Marsh - at low tide you can walk along the beach all the way around to Cargreen. There is ample off street parking. There is a wonderful selection of farm shops in the vicinity, selling local produce. We can even order some Caviar from the only UK producer; the Exmoor Caviar Farm if you are looking for a special treat. Saltash Local Food Market is on the first Friday each month or there is the Callington Country Market every Wednesday morning. Tavistock Farmers’ Market is well worth a visit too. The closest supermarket is a large Waitrose near Saltash which is less than 15 minutes away. A few minutes further away is a Tesco in Callington. If you would like a home cooked meal ready for you on arrival or a special event during your stay (or just a Birthday Cake), please contact us for options and pricing. The barn is non smoking. If you are travelling with babies / toddlers, we have a variety of baby equipment - please just ask. Storage available for bikes, surf boards etc. One dog allowed per booking at a small additional fee - please discuss with us as we have livestock on the farm. Friday or Saturday changeover day depending on time of year. 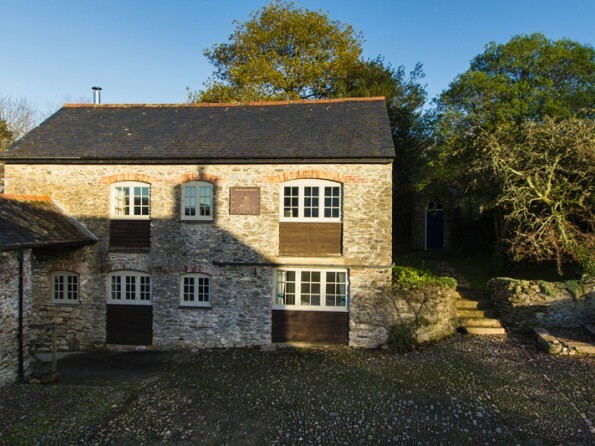 The owners are Cornwall Wildlife Trust Members which gives guests access to their wildlife education sessions for children which include mini-beast safaris, rock pooling events and bird box making.